The building at 15 Water Street, known to many as “The Emporium” has been a fixture of the Mystic landscape for decades. 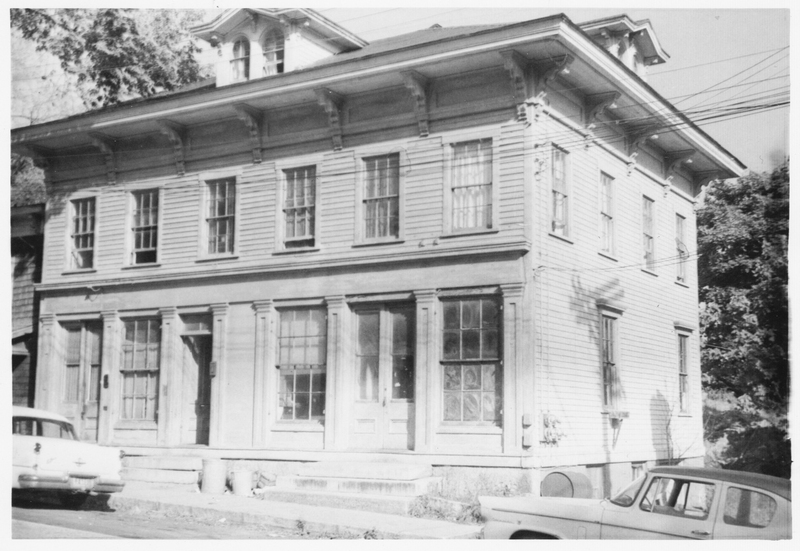 Dating back to 1859, the building is an Italianate treasure, adding character and charm to our community. Mystic Museum of Art enthusiastically acted on the rare opportunity to purchase and preserve this adjacent property, and acquired the building with the help of contributions from the community, along with generous terms and a loan from Chelsea Groton Bank. 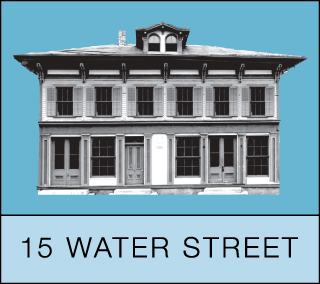 In keeping with the mission of Mystic Museum of Art, the purchase of the building at 15 Water Street was intended to establish a street-level presence and attract more visitors to the main MMoA building along the river, as well as to preserve an iconic Mystic landmark. The original site plan included leasing the street level space to a retail tenant until MMoA was able to fund it for its own purposes. Thanks to the generous gift of a local donor, MMoA has been afforded the opportunity to accelerate the plan and occupy the space now, instead of waiting for the lease to expire. Due to open later this year, the new gallery space will be an extension of MMoA’s current exhibition programs, including small ancillary exhibits of local art and a small retail space to market MMoA related items. The remainder of the building; three newly renovated apartments on the second and third floors, and the basement space are available for lease. Please address any inquiries to Mystic Museum of Art. 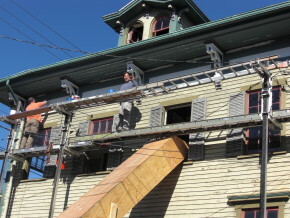 In order to preserve this iconic Mystic building for the community, and for Mystic Museum of Art’s future use, 15 Water Street is undergoing an extensive renovation. MMoA offers you the opportunity to see the evolution of the space by following the updates and photos posted to our 15 Water Street web page. Be part of the effort to preserve this nostalgic landmark by donating to Mystic Museum of Art. Upon completion of the project, slated for the Spring of this year, this 155 year old building will have been brought up to modern building, fire, and energy standards, and still look as charming and antique as it always has. The updated building will serve as a long-term asset for Mystic Museum of Art, and will be used for residential and retail purposes. The second and third floors of the building will be comprised of three residential apartments. Future plans for the space include usage for MMoA as an artist in residence, offices, and galleries. The colorful yet weathered façade of the former Emporium, with its ornate Italianate features and quirky Victorian signage, is one of the most recognizable structures in Downtown Mystic. The building, however, is as enigmatic as it is eccentric. After visiting the Mystic River Historical Society, and scouring pages of local Victorian newspapers at the Mystic & Noank Library, we have found that historical information regarding the building is limited. Documents suggest that the building was erected in 1859, by Isaac Randall. Randall was a successful business man who owned several properties in the Mystic area, and operated the Reliance Machine Company, a cotton gin manufacturer located in what is now Factory Square. The alleyway adjacent to 15 Water Street was also part of Randall’s property and served as a channel to load cotton gins onto ships destined for the South. The building was an adjunct to Randall’s mercantile endeavors, serving as a general store and post office early into the 20th Century and also a hub of village activity, displaying casualty and Missing in Action lists during the Civil War. The building has been a central gathering point through the decades. In 1965, the building was transformed into the beloved Emporium store, a novelty item treasure trove, when purchased by Paul White and Leland Howard. Years later, Robert Palmer Bankel and Evan John Nickles, friends of White and Howard, purchased the building and the business adding their own unique touches. They continued the whimsical style of their predecessors including quirky gifts, penny candy, and more, in addition to exhibiting local artwork in the gallery space on the second floor and using the third floor as a residential apartment. In September of 2013, the Emporium store closed after 48 years of creating fond memories for countless children and adults who lived and visited the area. This unique building is nostalgic for so many in our community, and MMoA is proud to have rescued it, and excited to have it become part of our future.